People love macarons, and these macaron trays will hold them perfectly in place on the shelf. There are three great sizes to choose from. 6, 12 or 24 macarons can be packed in our trays. Each cavity will hold a 45 millimeter macaron with a depty of 25 millimeters. You can use our trays as a package by putting two together. Use tape to secure them together. 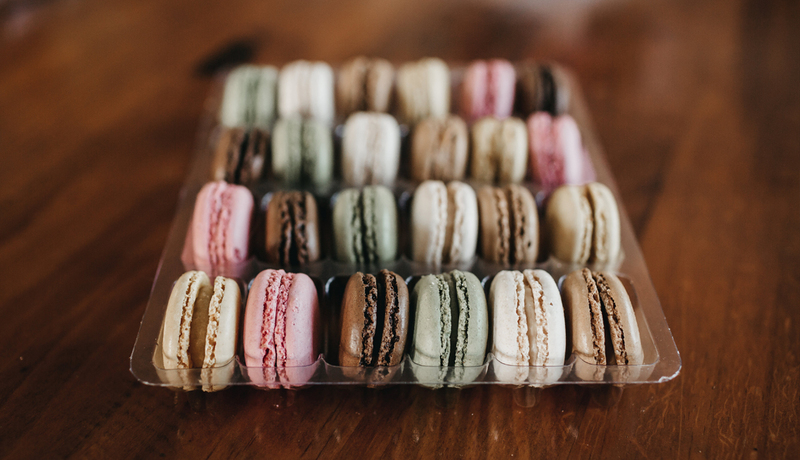 You may then pack the enclosed macarons in an additional box or packet. The plastic trays will hold your macarons secure so that they are less likely to be damaged. We have added two boxes that hold our trays to the range. At the moment they hold our 6 and 12 macaron trays. Form more information on macaron boxes, see our news article. From when we added them to the range. If you require a box to hold 12 or 24 macarons let us know and we will see if we can make it happen.